I read this purely because I work in a school and a student I work closely with is studying this book this year and I'd never read it so I figured I needed to get clued up on it. It's a short book so it was pretty easy going and actually quite enjoyable. Set in 1930's America during the Great Depression the story follows George and Lennie as they move to a new ranch to work. They both dream of owning their own place and it looks as though things may be going their way until Lennie does something that shatters their dreams. 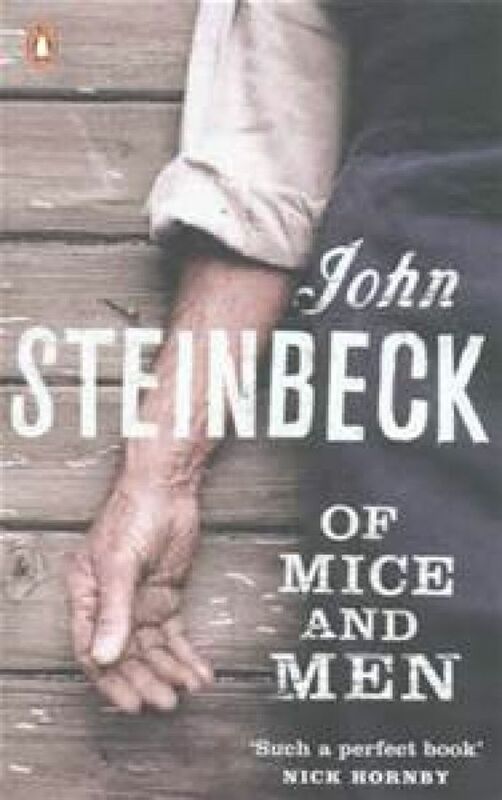 I'm sure after relentless studying many GCSE students grow to hate this book, but seen as I never read it for my GCSE's I can look at it with an untainted opinion. The descriptions are excellent and Steinback always takes the time to describe the scene perfectly, whether it be the bunkhouse or the valley. Each character is given an in-depth description which allows the reader to imagine exactly what they're like. The themes of loneliness and dreams accurately reflect life in 1930's America which adds more poignancy to George and Lennie's unusual friendship. Although short it doesn't feel rushed or like there should have been more, although you can sort of guess how the book will end it's still well written enough to have an impact. Although enjoyable and a must read, it misses out on the full 5 stars because I'm not sure I was gripped by it enough for it to warrant that. I enjoyed it but I don't think it's a book I'd read again.